Kinesiology is the neuromuscular test that I use when I am asking you to resist with your arm or another isolated muscle.Your body is electromagnetic. The definition and nature of electricity are such that it cannot come into contact with another electrical object without some reaction. When I scan your body for supplements, I am working with the points on the meridian that pertain to different organs, systems, infectious and inflammatory processes, looking for the reaction by the muscle. What is an Adjustment and why are you doing this to help me heal? A Chiropractic adjustment is a form of bodywork that directly removes interference, or subluxations, to your nervous system. Any pressure that may be inhibiting the nerve flow from your brain to any area of the body is called a subluxation. It is important to free your spine of these in order for the brain to send a signal down your spinal cord out to all your muscles, ligaments, tendons and organs. If we are working on your thyroid I will adjust your neck area, where the thyroid is located to be sure the brain has a clear path to communicate with the thyroid. We will do this either our hands or a small gentle tool called an activator. Keeping the spine in alignment and interferences removed makes for faster healing time. 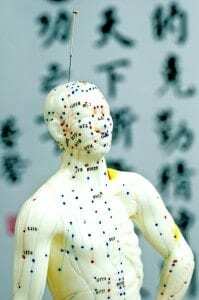 What exactly does acupuncture do to my body?It was discovered by Chinese physicians that people have energy systems in the body that they named ‘meridians.’ These fourteen meridians lay just below the skin and they are in communication with the organ they run over. These meridians have specific points on them that stimulate a weak organ or calm down an overactive system. Acupuncture sessions not only help with organ system they also relieve pain and inflammation to injuries by releasing adenosine. Adenosine is a natural pain killer your body makes. Our clinic maintains a complete natural pharmacy with only the finest herbs available. Products are derived from thoroughly tested raw materials, and purity and potency are guaranteed. Your energy, vitality and youthful attitude will return as you progress towards your healthcare goals.